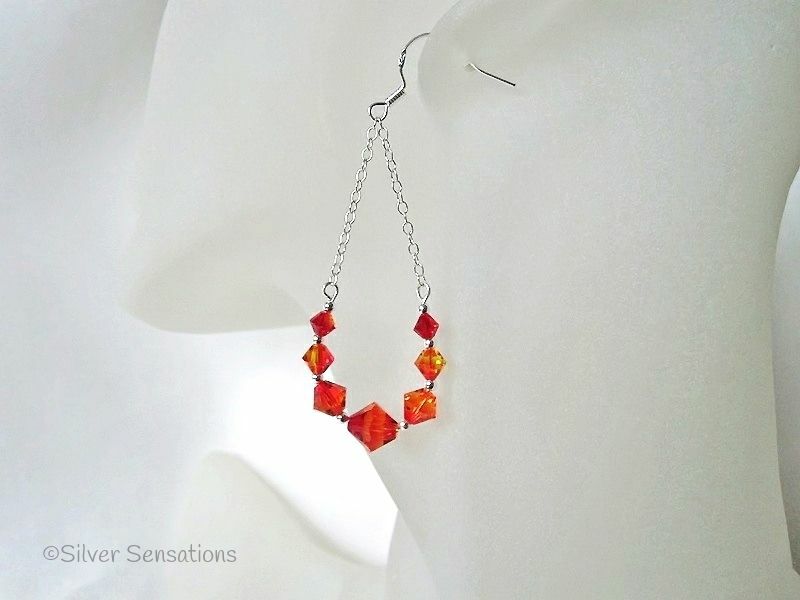 These hand made designer earrings have a really wonderful bright orange fiery glow. 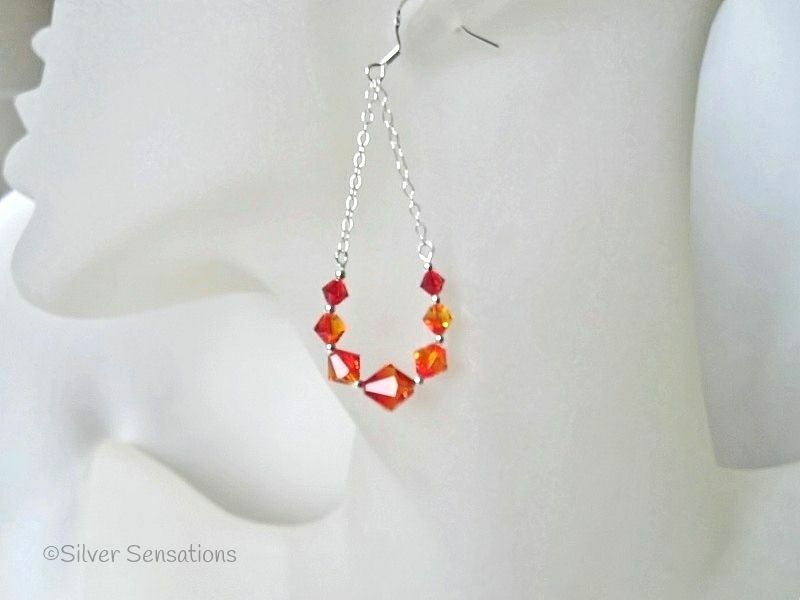 They have pretty Swarovski Crystals ranging from 4mm to 8mm in the middle of each hoop. 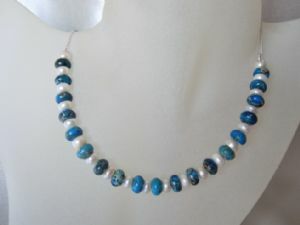 In between are seamless Sterling Silver round beads. The Swarovski Crystals & seamless beads are all threaded onto Sterling Silver wire which I have attached to Sterling Silver trace chains. 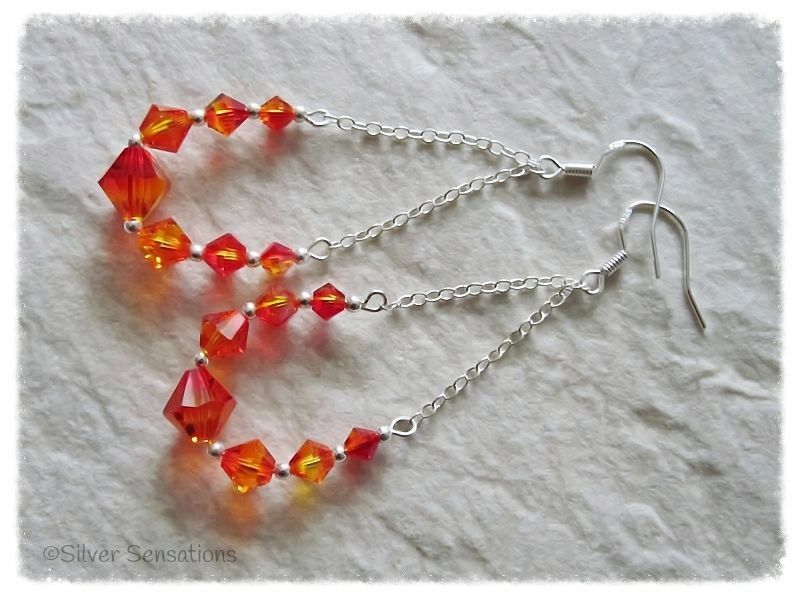 Nice easy to wear orange earrings with added swing & light to wear. 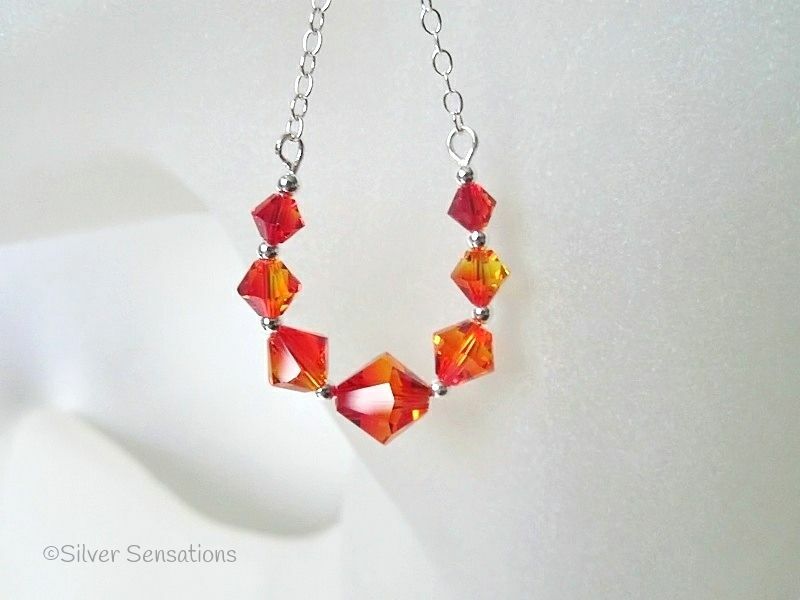 These Swarovski Crystals resemble Fire Opals in that they are two tone.